I grew up in Massachusetts, but we weren't one of the many families who regularly vacationed on the Cape. Trips to see New Hampshire's Old Man in the Mountain (may he rest in peace, crumbled in a gorge somewhere) and the Flume were more our style, so my only real exposure to the Cape growing up was a quick trip to P-town in a friend's four-seat plane. 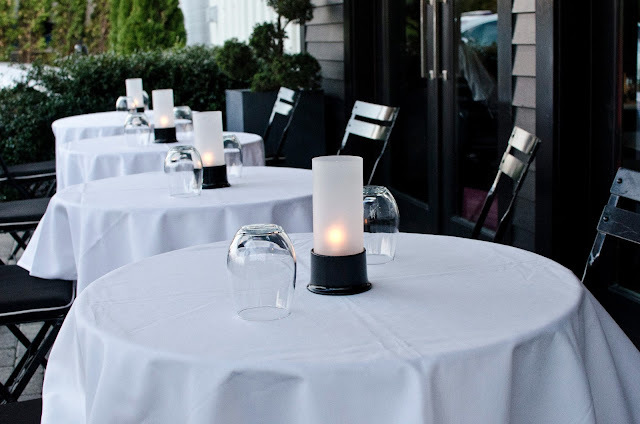 So when I was invited to sneak out of Boston on an April evening to take a media field trip to Pain d'Avignon in Hyannis, I was immediately on board. We'd get the chance to tour the facilities, taste a sampling of products, and meet the new executive chef, Matthew Tropeano, a native of Randolph, Massachusetts (right near my hometown of Sharon). Before coming to Pain d'Avignon, Tropeano had been in New York for a decade, including a stint as executive chef at La Grenouille. 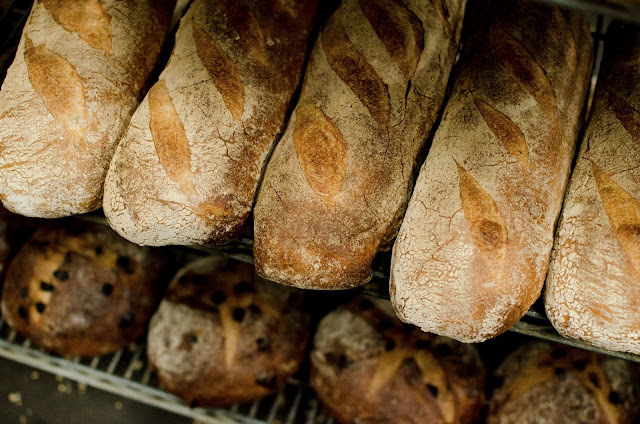 The French-style bakery and cafe/bistro is known in particular for their gorgeous handmade breads, many of them meant for display purposes (followed, of course, by eating). When Valentine's Day comes around, for example, they create a heart-shaped chocolate and hazelnut bread. 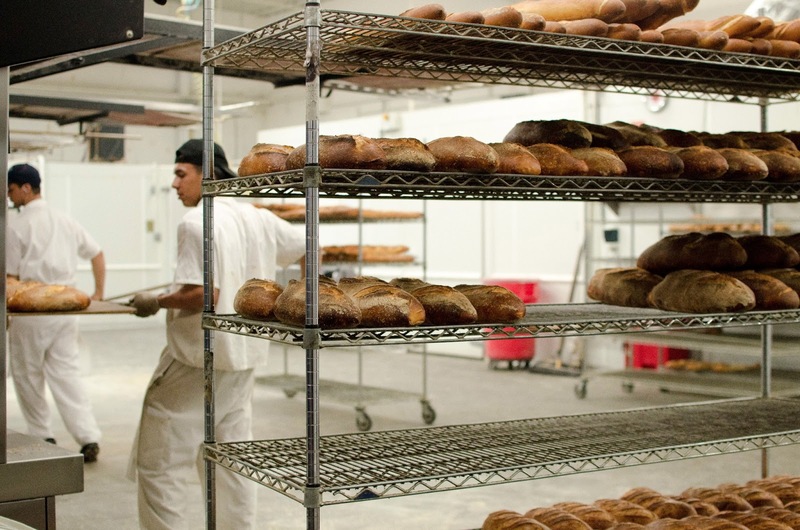 Even if you don't frequent the Cape, you've probably already spotted their bread closer to Boston; Pain d'Avignon's goods appear at many local farmers' markets and grocery stores. "Just as snowbirds chase warmer weather, this drink evokes a feel of spring and summer year-round. The butterscotch and banana undertones in Bully Boy’s White Rum mixed with the cardamom tincture and the Peach Ginger Jam create a combination of tropical fruit flavors and spice to warm things up as we part ways with the snowy winter." 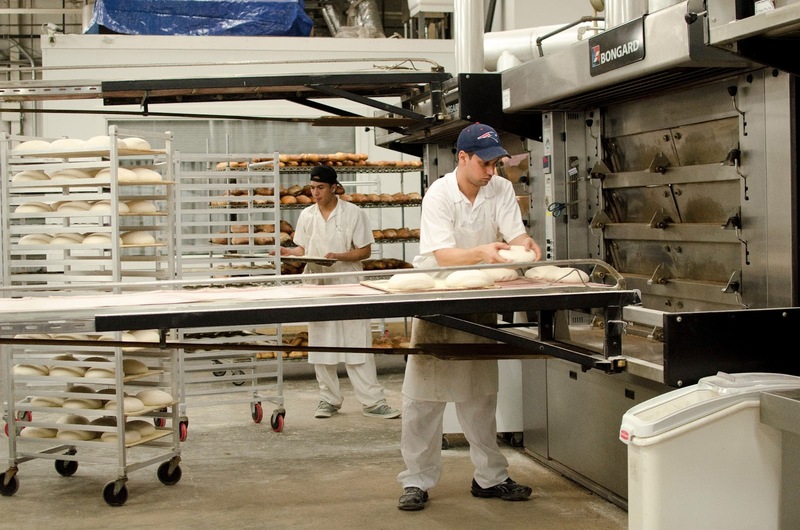 We then placed our food orders for the evening before being whisked around the production area for a tour. Second only to vanilla extract, the smell of bread baking is one of my favorites, so I could have stayed in their forever amongst the seemingly infinite loaves and rolls. 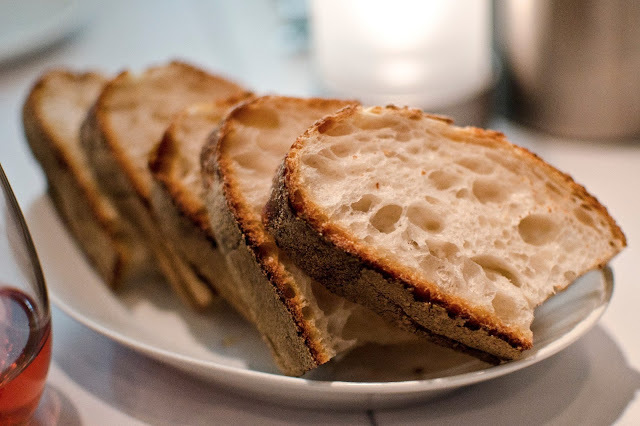 When it was time to eat, we finally had the chance to taste some bread, and it was just right: soft and springy on the inside, crunchy and full of character on the outside, and perfectly complemented by a small spread of butter. I decided to go a stereotypical bistro French route for my meal, starting with French onion soup - the best in recent memory. 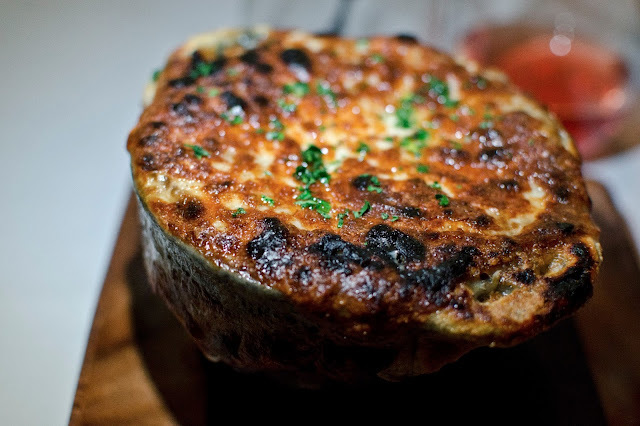 There were generous amounts of the best part, the crispy melted cheese clinging to the side of the bowls, just waiting to be peeled off indelicately and popped in my mouth, table manners be damned. 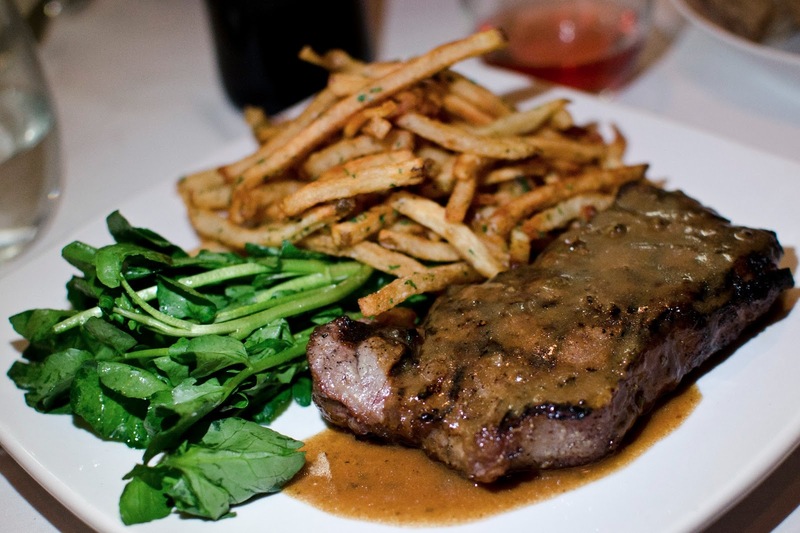 Next, the steak frites. (See? I warned you I went the stereotypical route.) Full of cocktails, wine, bread, and cheese, I couldn't make much of a dent here, but the fries were irresistible - just a little bit flexible and precisely the right amount of salt. 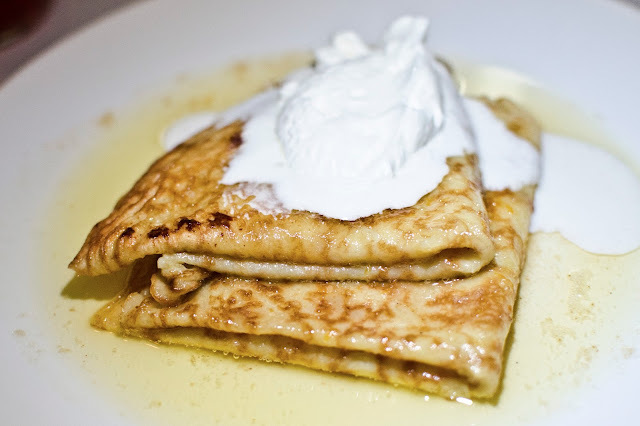 And finally, the heavenly crêpes Suzette, two delicate crêpes swimming in a cloud of citrus and caramelized sugar. Pain d'Avignon also serves breakfast and lunch (soups, salads, grilled pizzas, sandwiches), and there's a small patio outside, perfect for the warmer days ahead. I'm not sure when I'll find myself in Hyannis again, but I'd certainly make a point to return to Pain d'Avignon if I were in the area. Until then, I'll be adding the loaves I find at the market to my standard rotation. Disclosure: This meal was complimentary, but all opinions expressed are my own. Brot: Oat-honey Challah, Rye Roggenbrot, Bauernbrot, juniper-sesame crisp, butter, sea salt. 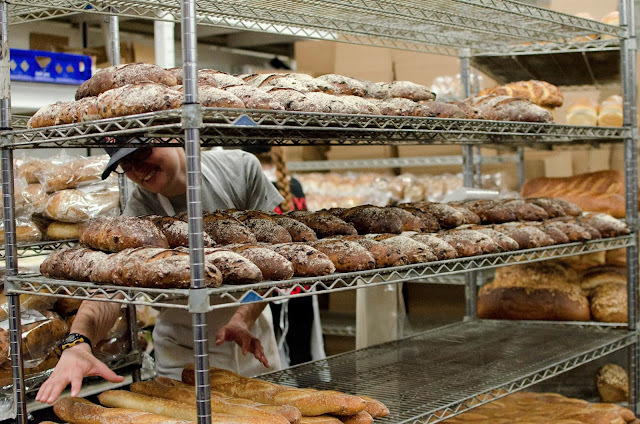 We were really curious about the "Giant Haus Bretzel," but we ended up settling on the bread basket to try a few different things. 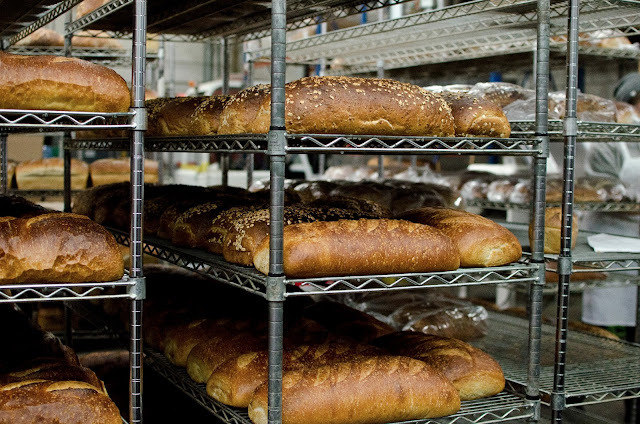 The clear winner was the challah, and if they packaged and sold it separately, I would buy a loaf every Friday. And I'm not even much of an observer of Shabbat. 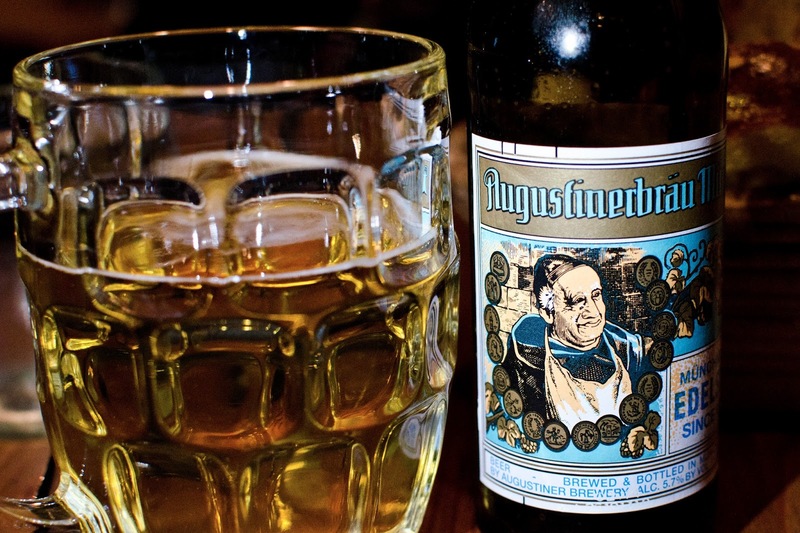 Augustiner Brau Lager. When I almost ordered the Weihenstephaner Hefeweissbier Dunkel, which I've enjoyed in the past, the waiter recommended that if I wanted to try something new in the same vein, this was the one. It was a perfect recommendation. I was also a fan of the wide honeycomb-like beer glass, which I had to hold with two hands! Knödel (bacon bread dumpling, fiddlehead purée). 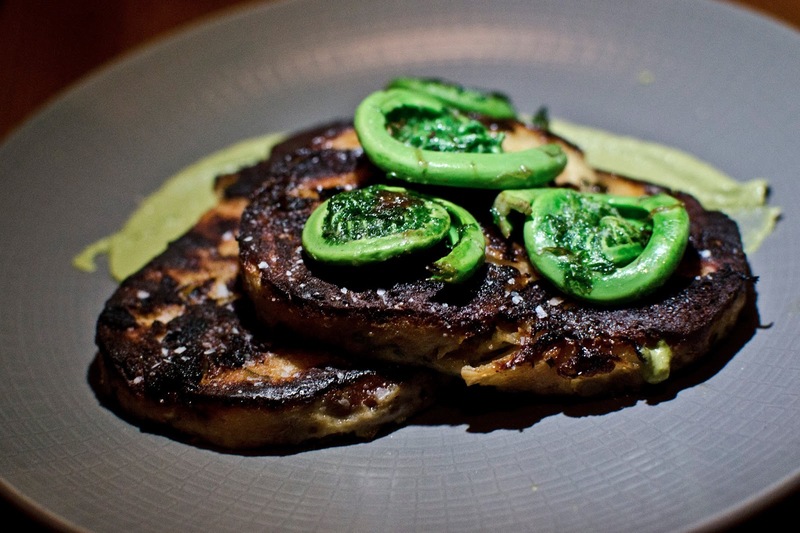 Quick, go and try this before fiddlehead season is over. They describe it as a dumpling, but it's really more like bread pudding, and it is absolutely amazing. I'm still thinking about this one. And the fiddleheads were sauteed just right. 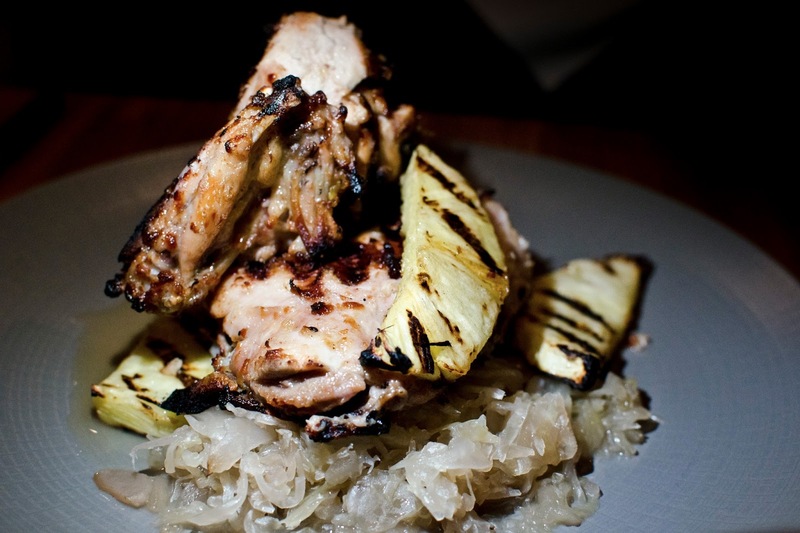 Bavarian Roast Chicken (citrus-pineapple cure, grilled red cabbage). This was my mom's dish, and she said it was the best chicken she's had in recent memory. They were kind enough to substitute sauerkraut for the cabbage on request. There's grilled pineapple as well, which is my favorite thing to eat from the grill. This dish is not only delicious but will even appeal to the most picky member of your party, most likely. Blutnudeln (Trentino blood pasta, spring onion, citrus). Stunning colors and flavors. There were small, tender bits of pork in there as well. Even if you're a little weirded out by the blood, this is worth a try. Kaiserschmarrn. The Kaiser's pancake! This Austrian dessert was a surprisingly small portion, but every bite was full of delicious apple flavor. It paired perfectly with an apple Schnapps that came in a tiny stein-shaped shot glass. German chocolate cake. Or whipped cream with a side of cake? A little dry for my taste; I'd get the Kaiserschmarrn again or try out the Berliner (doughnut) next time. Overall impressions: Welcome to the neighborhood, Bronwyn! I can't wait to bring Joel and others here, and I really can't wait for the biergarten to open. There are plenty more things on the menu I'd love to try, too. My mom and I didn't even get to the Wurst section because there was so much else we wanted to eat. Based on the huge, excited crowd on opening night and the high quality of everything I tried, I'm guessing Bronwyn will do quite well in Somerville. 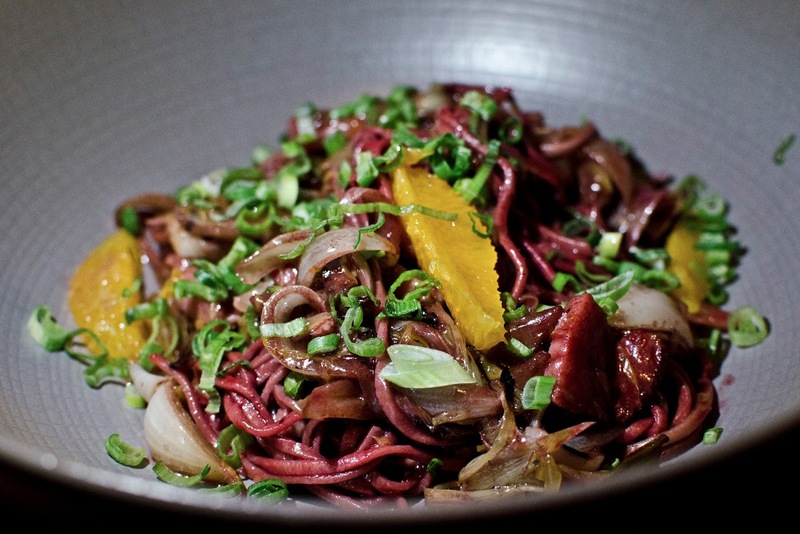 Click here to read my full report of opening night on Eater. Boston was actually the first stop on the tour, and the License to Spill van came to the Home Show at Patriot Place, where Chef Ben Lacy of Tastings was participating in the Home Show's Chef Fest. The day of the event, I reviewed my email exchange with the show producers and realized I had missed one key feature: the signature dish was baked beans! Now, I've gotten a lot less picky over the last few years, but I still really don't like beans and hadn't tasted baked beans in probably more than 20 years. But my rule for blogging-related events is that I'll try whatever I'm offered, and as it turned out, I did enjoy the beans. I'd had Lacy's cooking once before at a visit to Tastings and was impressed by his emphasis on local ingredients and beautiful presentation. Aside from eating beans, I spent some time chatting on camera with charming host JD Roberto about Boston's classic foods, particularly seafood. I think I said something about how scrod isn't an actual species of fish - like gefilte fish - and babbled about the molasses trade, which was hopefully accurate. I dutifully mentioned that Boston baked beans are the ultimate signature dish of the city because the script - and the fact that baked beans were the signature dish of the event - called for it, but to be honest, I don't think they're really a thing anymore. People who live here don't eat them all the time (well, I certainly don't), and I suspect that tourists don't really look for them. Tangentially related, no one who is from here calls Boston "Beantown." Just don't do it. Update: Please vote for this recipe in the American Lamb Pro-Am Boston contest between now and April 26th, if you'd be so kind. VOTE HERE! When I first started brainstorming what to do with the gigantic leg of lamb I was provided for this contest, I kept thinking about stuffing lamb into things - ravioli, maybe? Dumplings? - and incorporating some spring vegetables into the mix. But these ideas required ground lamb, and it seemed like a shame to just grind up such a beautiful cut of lamb. As a compromise, I decided to use the lamb two ways: ground in one part of the recipe and cooked in a different way for the other half. The first draft: harissa and lamb empanadas (eventually dubbed "lambanadas" by one of my dinner guests) with a spring salad topped with sliced, roasted lamb. 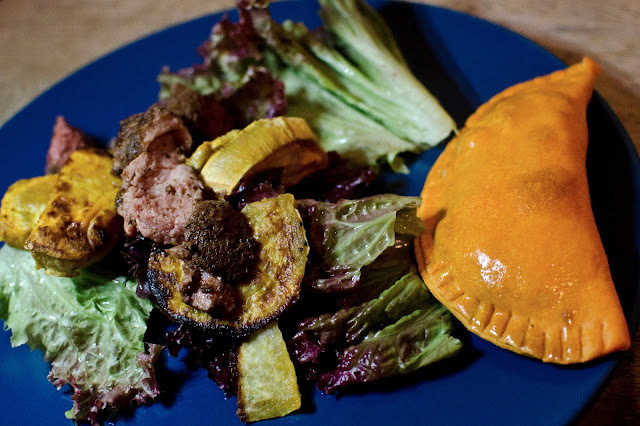 With some input from Joel, my dining companion/boyfriend/lamb slicer, I settled on adding dates to the harissa and lamb empanadas and using our makeshift sous vide (inspired by Cooking for Geeks) to prepare the lamb for the salad. For the ground lamb, I actually went out and bought the food grinder add-on for my newish KitchenAid stand mixer. Now I want to grind everything! 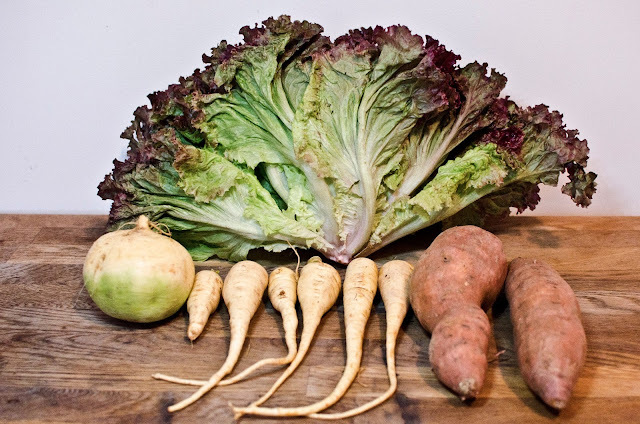 For the salad, I raided every last bit of the final Somerville Winter Farmers Market of the season and came away with a gorgeous selection of late winter/early spring root vegetables. To tie the two pieces of the dish together, I used a Turkish spice blend in both lamb preparations. This lamb duo pulls together fairly easily timing-wise. Allow at least 90 minutes for the lamb in the sous vide - but the nice thing about the sous vide is that you can actually leave it there all day and it'll still come out perfectly. 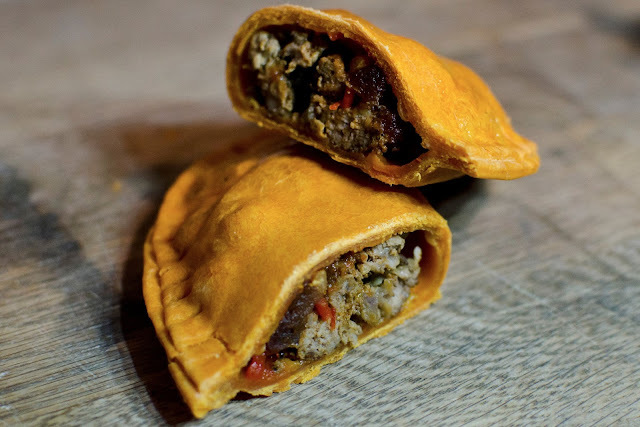 The empanadas can also be made ahead of time; just warm them in the oven right before serving. Season raw ground lamb with the Turkish spice blend and caraway seeds. Brown lamb over high heat on the stovetop until fully cooked, approximately 6-8 minutes. 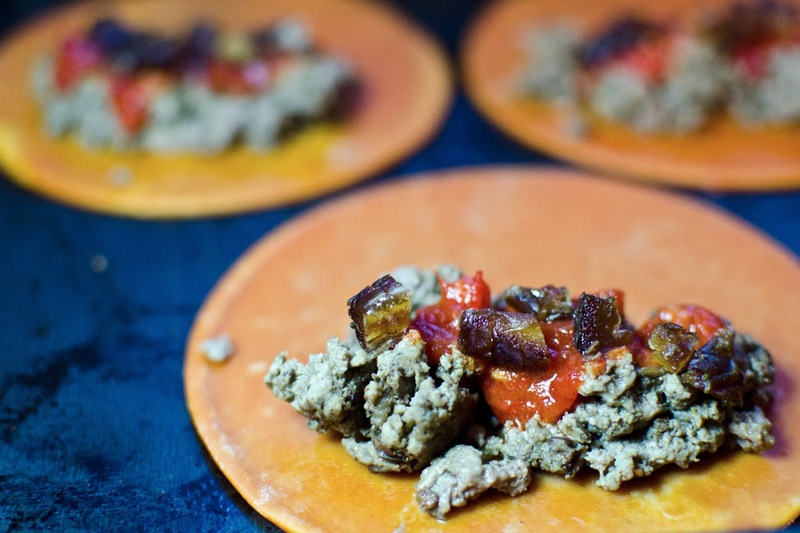 Spread empanada shells on a lightly greased baking sheet. On the lower half of each shell (leaving a half-inch border all around), spoon about two tablespoons of cooked lamb. Top with about a tablespoon of harissa and 5-6 chopped date bits. One shell at a time, use your finger to wet the bottom half of the circumference of the shell and fold over the top half, pushing down to seal. Using the tines of a fork, make indentations along the edge to reinforce the seal. Optional: In a small bowl, use a fork to whisk an egg until well-blended. 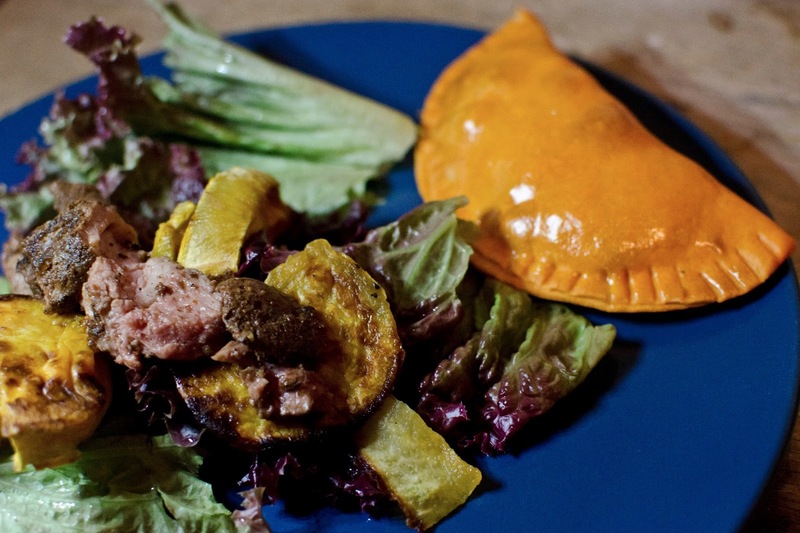 Brush onto the top of each empanada for a shiny finish. Bake empanadas for 15 minutes. Preheat oven to 400F and sous vide to 135F. 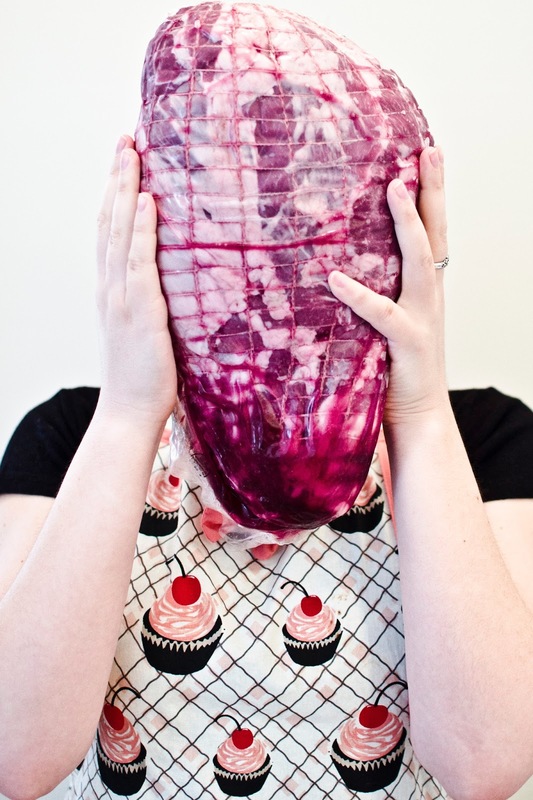 Slice lamb into large (steak-sized) chunks and rub with Turkish spice blend before vacuum sealing for the sous vide. Cook the lamb in the sous vide for at least 90 minutes or up to a whole day. Meanwhile, slice the root vegetables, season with salt and pepper (add garlic salt if desired), drizzle with olive oil, and bake for 45 minutes at 400F. Remove lamb from sous vide, sear at the highest possible heat for no more than 2 minutes per side, and then cut up into small slices. Arrange lamb and roasted vegetables on top of a bed of lettuce or preferred greens; serve with Harissa and Date "Lambanadas." Disclosure: I was provided a leg of lamb to use in the development of this recipe, courtesy of BostonChefs.com and the American Lamb Board, for the purpose of participating in a contest to decide which six out of fourteen local bloggers will compete at the 2nd American Lamb Pro-Am Boston. I didn't grow up in a Kosher family. A little bit in the spirit of keeping Kosher, we didn't cook pork products in the house, but you can bet we were eating bacon and sausage at restaurants - and especially Alice's inimitable pork-filled Peking ravioli at Mandarin Taste. But every year when Passover rolled around, we'd dutifully celebrate two Seders and eat only Kosher-for-Passover food for eight days. I don't remember doing a strict removing and burning of all the chametz in the house - the forbidden leavened foods - but we'd keep all the kitchen cabinets closed and slowly eat our way through the boxes that accumulated across the counter: boxes of matzoh, egg kichel, those little jelly fruit slices, and other traditional Passover goodies of questionable quality. My favorite Passover food is undoubtedly my mom's breakfast fried matzoh. Others call it matzoh brie and make it mushy, but we'd keep the matzoh fairly solid and crunchy with just a quick swipe under a running faucet. Now that I don't live at home, I can never make it quite as well on my own, and there's no one around to force me to drink a tall glass of apple juice with every portion. (I'll leave you to piece together that connection on your own.) 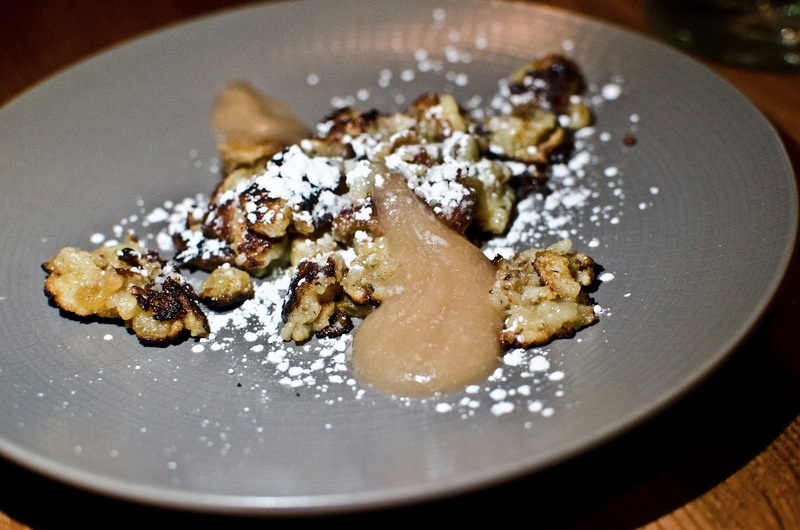 But whenever I smell eggs frying, even if it's French toast being cooked, I immediately think of fried matzoh. I'm also a fan of egg kichel - airy little cookies with sugar on top. 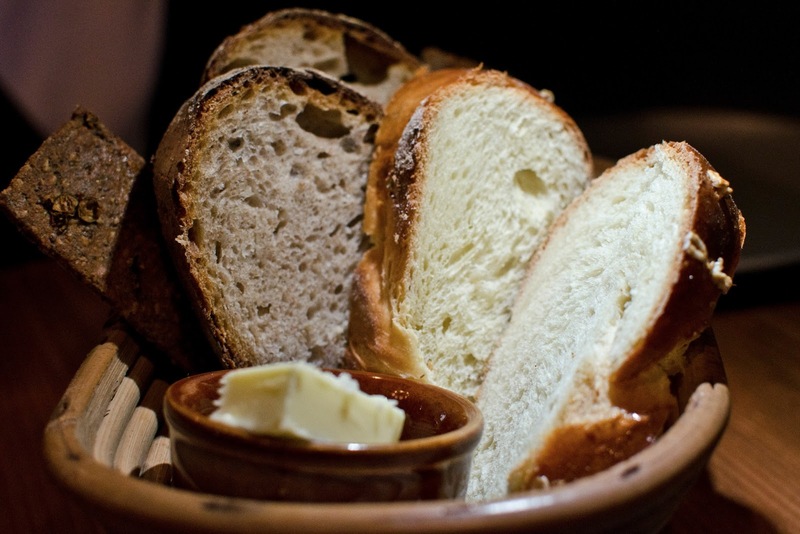 In general, though, Passover foods - and especially baked goods - are notoriously bad. I won't go into a whole discussion of foods that are prohibited during Passover, but in a general sense, most leavened things are out, and many Jewish families (mostly Ashkenazi) also omit rice and corn. This knocks out everything containing corn syrup, which, in the processed food world, is pretty much everything. When a representative from Rosie's Bakery reached out to me to see if I'd sample their line of Passover goods, I was a little worried that I'd be disappointed, but I like Rosie's and figured that if anyone can make Passover desserts taste great, it'd be them. Fortunately, they succeeded, so I wanted to share my recommendations based on the products I tried. Rosie's Passover menu is available in stores for the duration of the holiday, but to pick up an order on Sunday 3/24 and Monday 3/25, you must place it by 5 PM tomorrow, Monday 3/18. First up, the Passover Brownie ($2.75 each): not only is this brownie outstanding for Passover, it is the best brownie I've had in ages. (This isn't too surprising to me as I had previously found Rosie's non-Passover brownies to be excellent as well.) 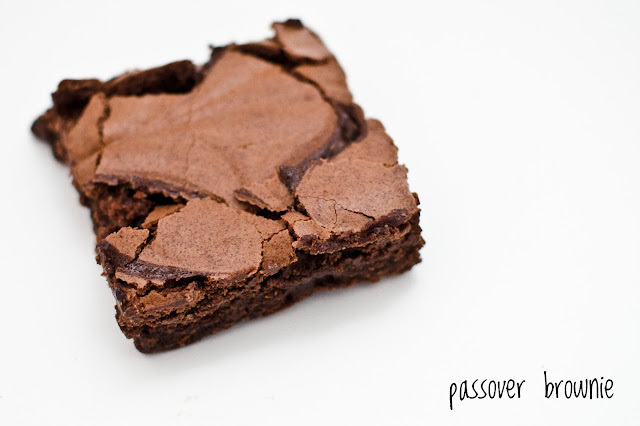 From the cracked, crispy bits on top to the fudgy, melty interior, the Passover brownie thoroughly impressed me. You will probably not regret ordering a whole platter of these - unless you eat them all at once, that is. 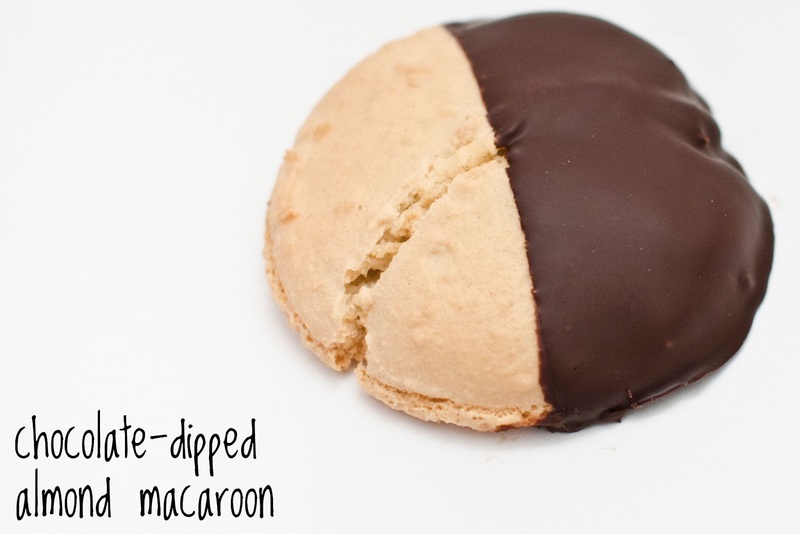 At first glance, I thought this was a Passover version of a half-moon (aka black-and-white) cookie, but one bite in, the extreme almond flavor (and lack of white icing) gave it away: it's a Chocolate-Dipped Almond Macaroon ($2.65 each). Nope, it's not one of those chewy little mountains that Manischewitz sells in large tins that people either love or hate, and that's a good thing. This soft, sweet cookie reminded me of the almond cookies I occasionally get at bakeries in Chinatown, and the chocolate dip added a little something extra. 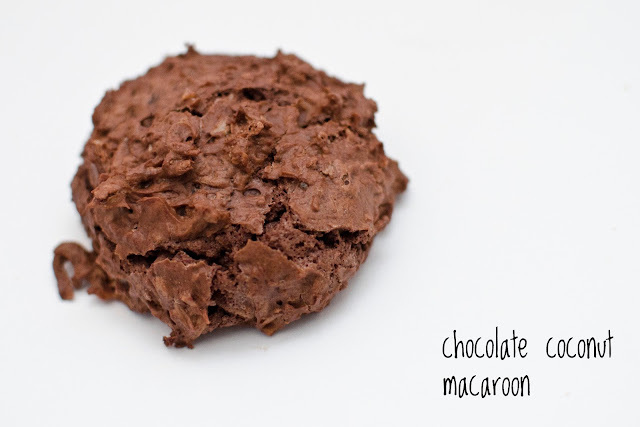 Like the brownie, this macaroon made me think, "This is delicious!" rather than "This is delicious...for Passover food." The Chocolate Coconut Macaroon ($2.65 each) may not be the most attractive baked good, but its taste makes up for it, provided you like coconut (I do). This one tastes most like a Passover item to me and does conjure up thoughts of those Manischewitz macaroons, but not in a bad way. If you like fudgy cookies packed with coconut, you'll love this. The Chocolate Caramel Matzoh Crunch ($19.95/pound) was the only one in the bunch that didn't completely wow me, but I think that has more to do with the fact that I'm not a huge caramel fan. I did manage to eat quite a lot of it, and it went something like this: "Too sweet! But wait, I need another bite to make sure." (And repeat.) The texture's great, a gradient that starts chewy on the caramel side, gets crunchy in the middle, and ends with the smooth chocolate on the opposite side. 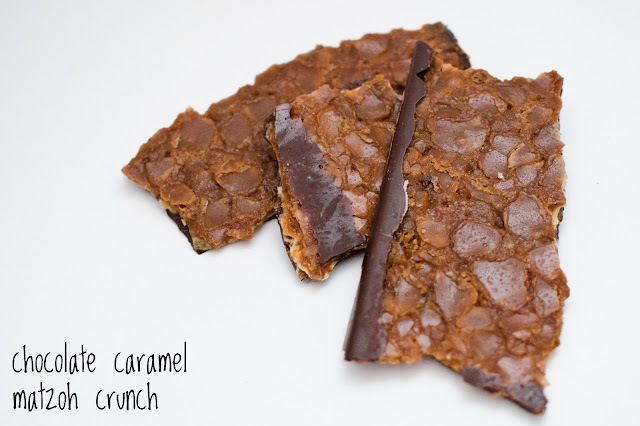 I'd probably be happier with just plain chocolate-covered matzoh, but those with a sweet tooth for caramel will adore this. 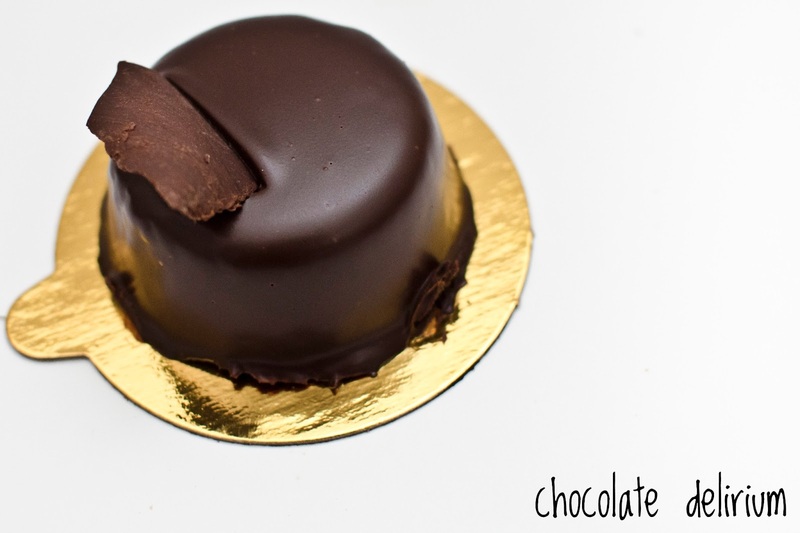 The Chocolate Delirium ($5.50 small, $32 large) is appropriately named as its richness will make your eyes roll back in your head as you slowly take a bite, and then another, and then another...at least that's what happened to me. This flourless cake is decadently rich, and I could only handle a few bites at a time. 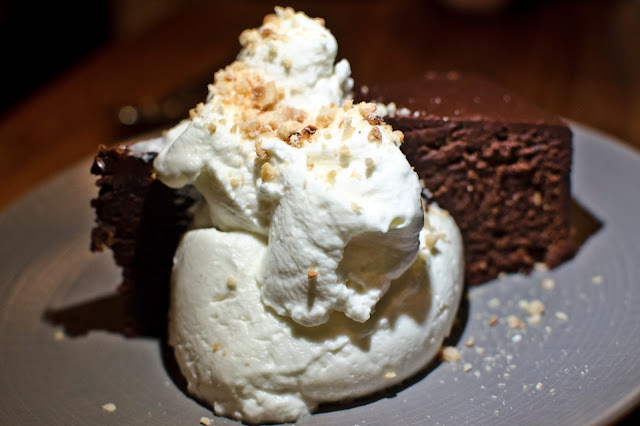 True chocolate lovers may sneak away from the table with this only to be found later whimpering in a corner and covered with melted chocolate. So, I guess it's possible to make excellent Passover baked goods after all. I'll definitely still be found munching on box after box of commercially-produced egg kichel, but without hesitation, I can also recommend Rosie's Bakery's Passover menu. Disclosure: Rosie's Bakery provided me with complimentary samples of several of their Passover menu items. While I agreed to post a review of the products, positive coverage was not guaranteed, and all opinions expressed in this post are my honest thoughts.